I love drawing the markings, colors and fluffy long fur of shelties; their good looks make them handsome subjects for portraits. 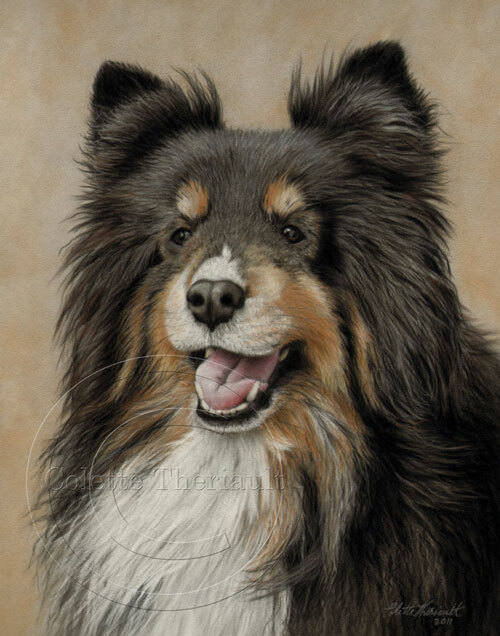 This one is referred to as a tri-colored Shetland sheepdog because of his black, sable and white coat. This dog portrait was commissioned from a client in Ottawa, Canada as a special tribute to their canine friend.